North Merrick, New York, USA. March 31, 2018. 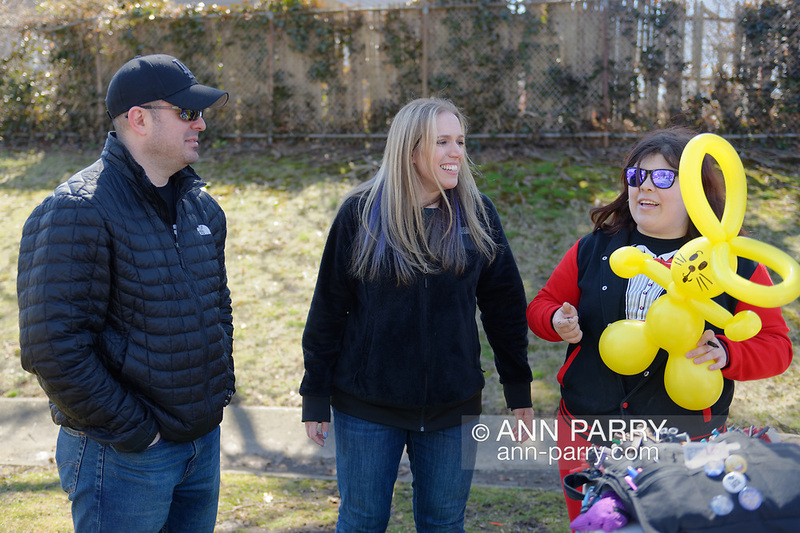 L-R, LOU CICCONE and SUE MOLLER, the Co-Presidents of North and Central Merrick Civic Association visit Brittany at her BALLOONS BY BRITTANY table at the Annual Eggstravaganza held at Fraser Park.